When we feel bored, when we feel a little unwanted, when we feel like reaching out to the world, we often turn to our favorite partner in crime, Facebook! Our day starts with clicking on it & our day ends with a post to the world or rather to our friends & followers. The incessant messages, images & videos that are forwarded to us over WhatsApp, the retweets that keep getting pinged, the videos that are shared by the groups we are part of, keep us rather busy clicking away on our smartphones. I often wonder: is the smart phone making us dumb! Or is it making us addicted to an instrument that seems to dominate our senses? Nevertheless, we cannot deny the fact that the Social Media while it may have its drawbacks, there’s a huge surge in the utility of the same. What makes the social media so useful? In this blog, let’s analyse FACEBOOK, India’s favourite social media platform. As of July 2017, FB has reported a total “potential audience” of 241 million active users in India, which is higher than Unites State’s 240 million. The absolute numbers seem exciting, but it’s just 19% of the total country’s population. USA’s penetration stands at 73%, with the world average being 73% (source: livemint.com, accessed 4th Sept’17). Men outnumber women on FB in India, while it’s the reverse in US, where 54% of the platform’s users are female. Another factor that makes a huge impact is that the age group predominantly on FB is younger than 25 years of age. 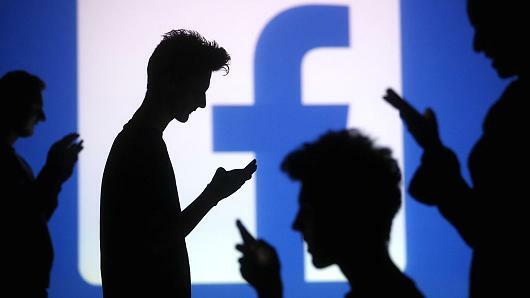 Monetizing FB as a platform and upgrading it to a business tool has been an uphill task for Facebook Inc. They have moved away from being just a social media platform to an advertising medium, with promoted posts, promoted pages, & pay per click adverts. Your timelines are now resonating not just your friends’ posts but also with promoted newsfeeds, stories, videos, images, etc. Engagement with the audience is something very challenging for FB. They have to not only get Likes, they have to ensure Shares, comments, tagging of people, as also posting of requests. Only when all these are done, is there true engagement with stories shared on FB. Paid promotions which are known as boosts, cost but they lead to increase in likes for a post or for a page. Once all the above tools are put to use, an anlyst needs to check on FB insights as also on the Analytics of FB to track the growth, dips, engagement & disengagements over time. Facebook has found its place amongst corporate budgets for digital promotions and they are increasingly leaving positive footprints for businesses to come. From setting up a company page, to reaching out to target audience, to raising charity money, even SMEs and NGOs are making a mark here. Facebook is here to stay for sometime now and with increased penetration we will see a gargantuan market opening up for those online. So much so now we may add a verb in our dictionary: “facebooking”!! In another blog we will look into other social media platforms that are becoming popular in India. Keep reading! Dr. Mradul Kaushik, Director-Operations introduces ‘Healthcare Operations’ to INLEADers!